Digital mixing has revolutionized virtually everything in the live-entertainment production workflow. 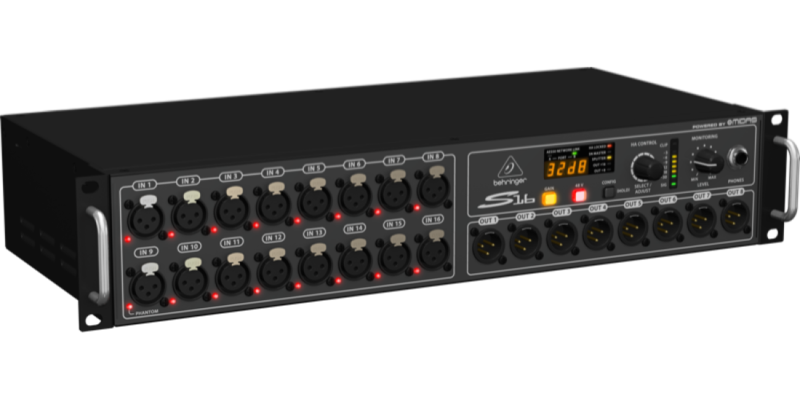 Now Behringer has come up with the perfect solution for connecting the onstage talent with your Front of House (FOH) console, and the rest of the world – the ultra-cool and ultra-affordable S16 Digital Snake! 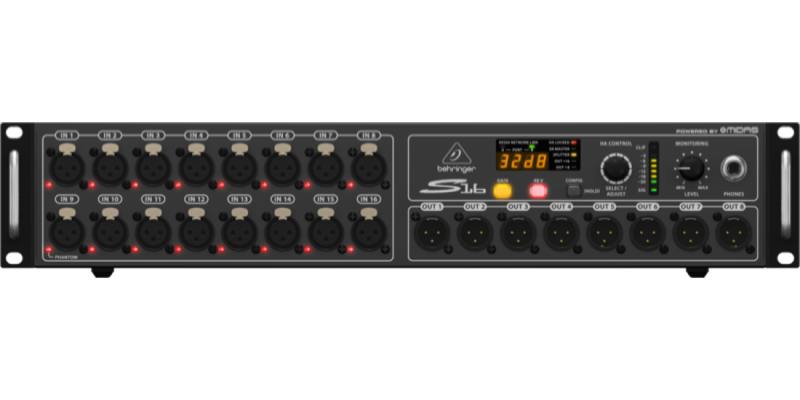 The S16 provides 16 MIDAS-designed remote-controllable mic preamps, plus 8 balanced analog XLR returns at the stage end – and all it takes is a single Cat 5e cable. 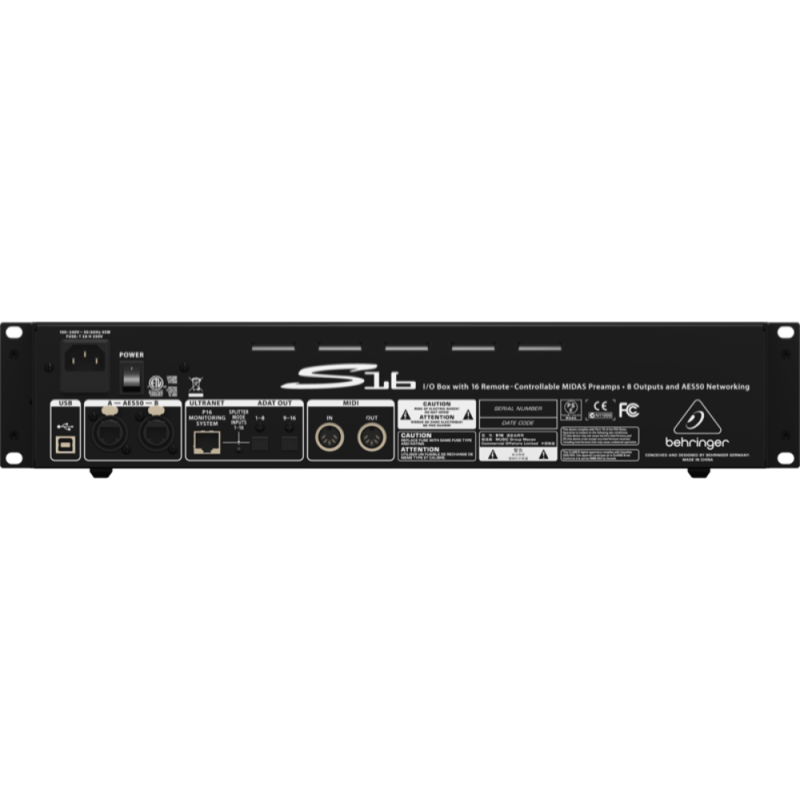 While KLARK TEKNIK, the industry-leader in high-end digital audio processing, invented the SuperMAC technology that made it all possible – our superb scale of production makes the S16 so very aff ordable. 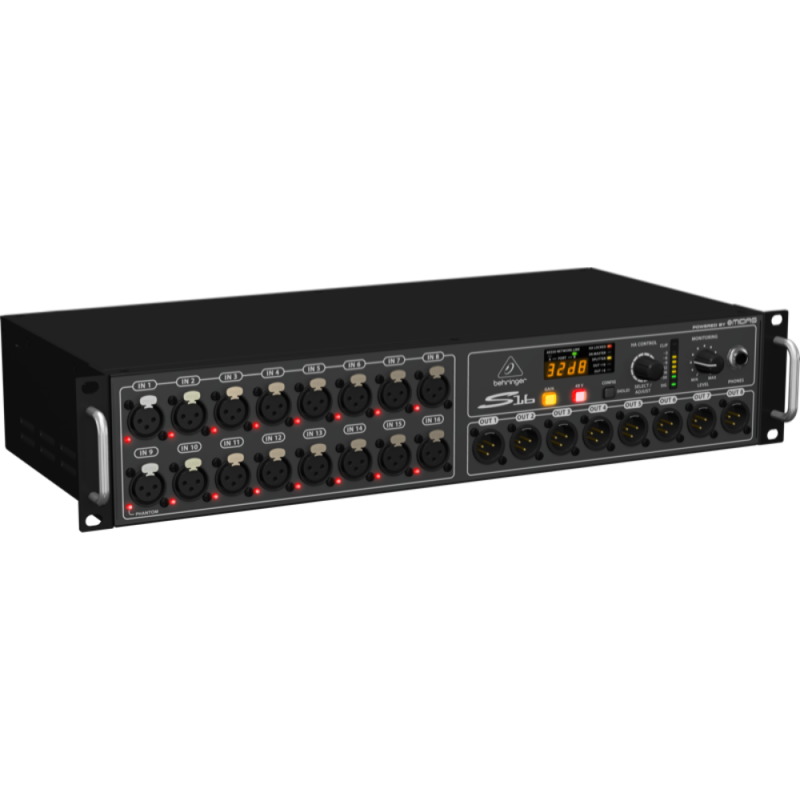 When used as part of a complete X32 system, two S16 Stage Boxes can be cascaded via the built-in AES50 ports, providing connectivity for up to 32 mic/line inputs, 16 balanced outputs and the awesome POWERPLAY P-16 Personal Monitoring System – which can feed up to 48 individual monitor mixers. Behringer also included 2 optical ADAT sockets for connecting channels 1 - 8 and 9 - 16 to outboard devices, a convenient USB port for system updates via your PC – and MIDI I/O for lighting systems and sound module control. 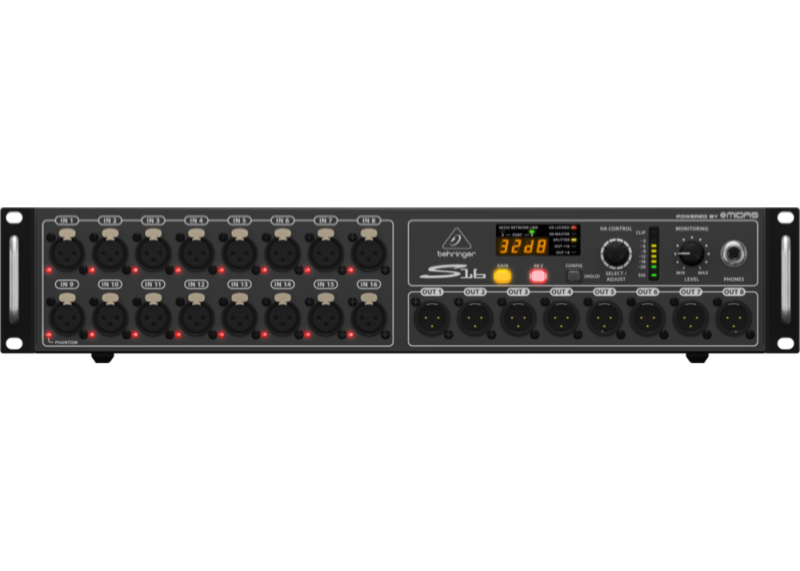 The S16 was initially designed with Behringer's flagship X32 Digital Mixing Console in mind, but any mixing board with AES50 networking capability can still tap into the S16’s powerful feature set. So even if the gig calls for an analog board, you can quickly assemble a couple of S16s and ADA8200s to create a high-performance, lightweight 16 x 16 digital snake – with full remote preamp control. 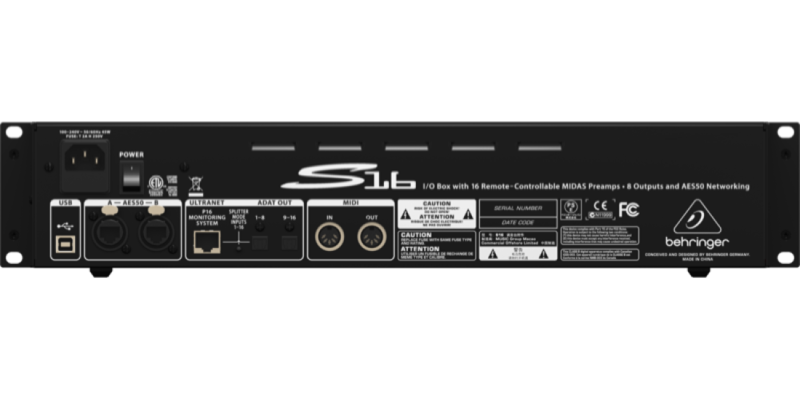 S16’s ingenious monitoring/head amp control section allows you to select any of the 16 inputs, 8 bus outputs or P-16 output streams for immediate line checks. In addition to signal metering at the stage box, you can also set individual input channel Gain, apply +48 V phantom power – and listen directly to the input signal via headphones and much more. Once set, all configuration settings can be locked at the console for total system security. Behringer P16-M 16 Channel Personal Mixer Station..
Behringer X32 32 Channel Motorized Fader Mixer Con..